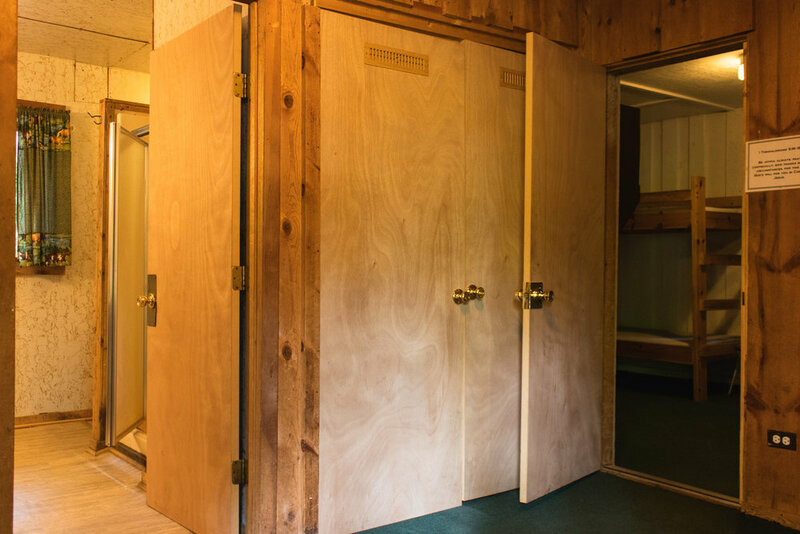 Maverick is a heated cabin which includes a bathroom with one shower, one toilet, and two sinks. 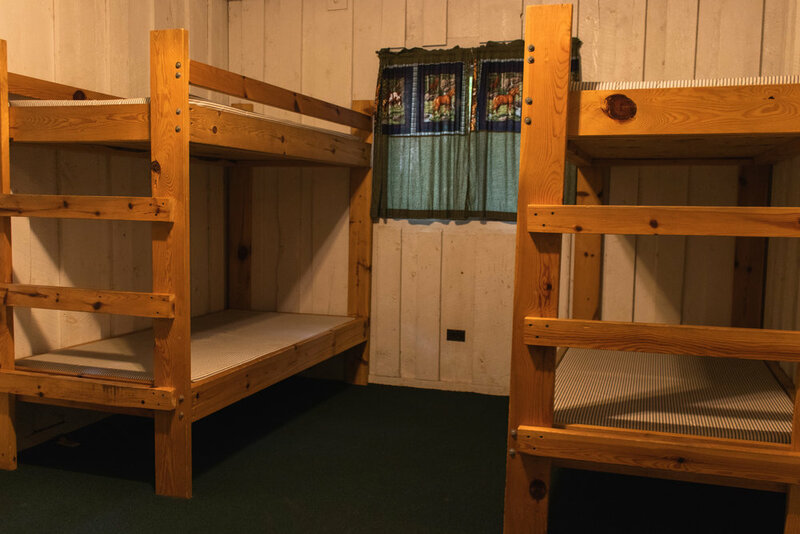 Maverick has two rooms (Maverick East and West), each containing 6 beds, including one double bed on each side. 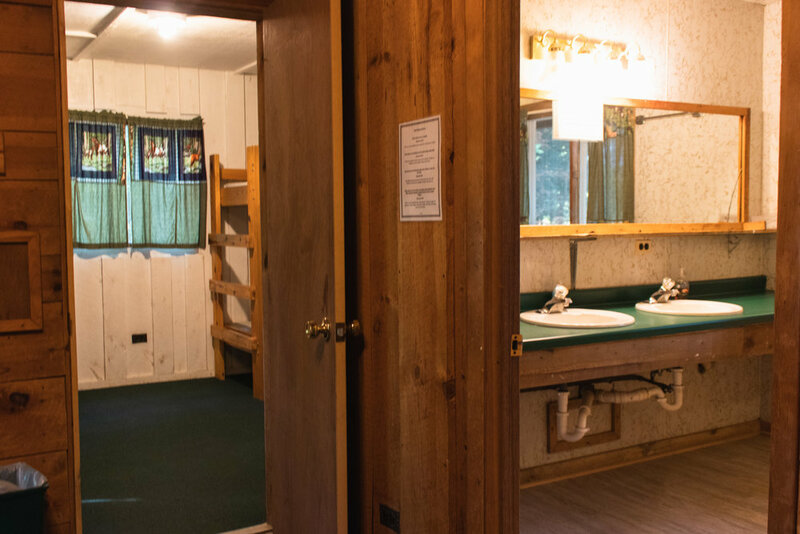 Linens, pillows, and towels are not provided.